It is permitted to disembark private cars but only during low season and circulation is banned outside the port (You can obtain information from the 'Azienda Autonoma di Soggiorno e Turismo delle Isole Eolie). Transport on the island is by bicycle or electric cars and scooters which can be rented. Stromboli possesses a sporting goods and trekking equipment store where you can also hire necessary equipment, from boots to anoraks. You can climb to the top of the crater only if you are accompanied by professional guides (booked on request). The climb to the crater and boat trips can be booked.. 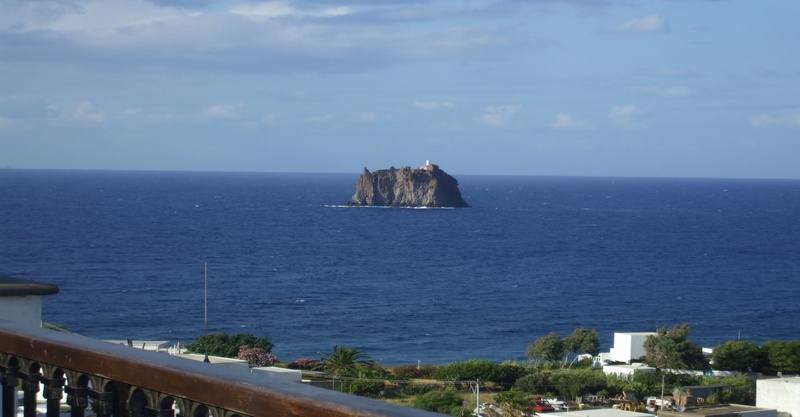 There are many grocery stores, a pharmacy and a bakery in Stromboli. Souvenir shops are open only during high season. It is, however, very difficult to buy clothes or household items (should Alitalia lose your luggage). The inhabitants of Stromboli do their "serious shopping" in Lipari and Sicily. Money: There are no banks, but as of 2000 there is a "cash machine" available. The hotels accept major credit cards. There is a post office near the church of San Vincenzo. In the autumn of 2001 a great new bookshop opened in Stromboli: «La Libreria dell' Isola». It is situated along the "high” road that unites the two churches of San Vincenzo and San Bartolo. The shop sells books and other items of volcanological interest, but also and novels and fiction, in different languages. It is one of the few places where you can find interesting reprints and old travel diaries of the islands published by the Research Center of Lipari. Anyone who is interested in the volcano, its geological evolution and activity, should visit the small but very instructive information center at Scari. It is located near the Hotel Ossidiana along the 'coast road' which runs northwest from the dock. 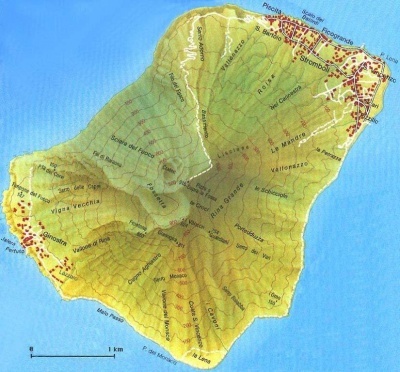 Information on regulations and access to the volcano can be found on the website of the Operative Center of the Civil Protection. More information on the volcano can be obtained by calling the COA,the Operations Centre of Civil Protection (tel. 090.986183).